Rice Paper Scissors, a popular Vietnamese popup, will not be opening a much-anticipated permanent storefront at the corner of 22nd and Folsom. In an interview with Mission Local, Luu declined to name the largest contributing factor of the endeavor’s ultimate demise. But she vented about the challenges of opening up a business in 2018 San Francisco as a small and completely bootstrapped business: keeping up with the needs of the Planning Department and Mission community groups in addition to those of her own business. 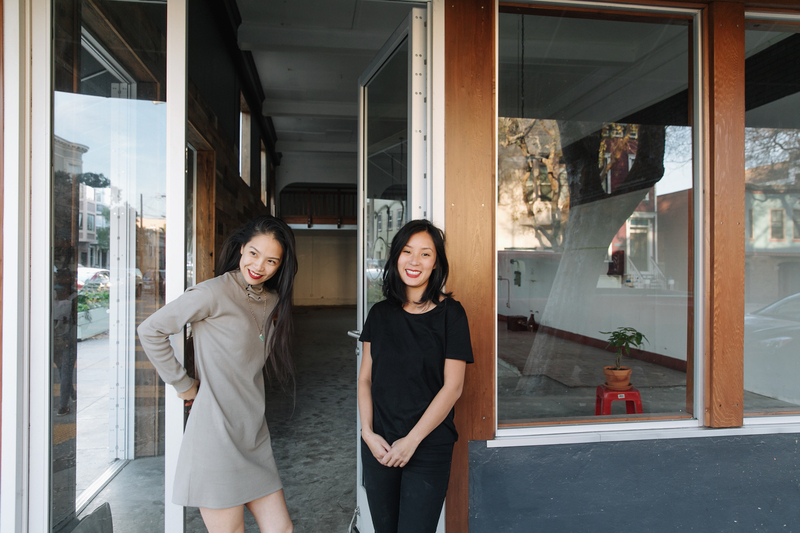 Luu and Kwan hit a major snag last January when they signed a lease at the Folsom space before knowing they needed to seek “Conditional Use Authorization” from the city — meaning up to six months of waiting for a vote by the Planning Commission. This, she said, added months of unexpected costs. Luu said not enough information was publicly available about the Mission-specific planning controls on new restaurants, and that planners initially did not notify her. Gina Simi, a planning department spokeswoman, said the department definitely notified the restauranteurs, and Rice Paper Scissors got the commission’s green light last November. “So I’m not sure I’m understanding what wasn’t relayed,” Simi said. In a phone interview Wednesday, Luu reflected on the learning experience. “It’s been a very lonely and stressful process of doing work trying to open a restaurant,” she said, adding that the city and the community groups are not necessarily to blame. Still, she remembered good times. The future business partners were then doing separate things, but they eventually joined forces, rented a commercial kitchen in the Mission, and began putting together regular popups. After years of popups, Luu and Kwan found a brick-and-mortar space on 22nd and Folsom in early 2017. They launched a successful Kickstarter to build out the space, and had planned to open soon after. That, sadly, did not happen. And the Kickstarter money is all gone — all $44,757 of it. “We used the money to get the project started,” Luu said. Yet it now remains unclear just how the project ended. PreviousPiri Pica shocker – come for the chicken! Very curious as to which power dynamic they’re referring to…. sad to hear this news. Evergreen has had a great facelift so yummy Viet still close by. As much as SF says it wants to support small business and the creation of new housing, anyone who has ever dealt with the Byzantine process of working with SF planning and building departments is well aeate thatvthese departments do everything in their power to drive up the expense and timeline for efficiently completing a project, and are the single most factors in high housing prices and business failures in the city. SF Planning is the worst. If there was an entity that i would want to have burned to crisp in the campfires it would be for SF planning. You can blame the greedy landlord who pretends he’s a local artist for ripping off these two poor ladies who were trying to achieve their dream. Shame on him-I hope his property sits vacant for many years. Wow Joanne, it’s pretty lame to bash the landlord with no explanation. I heard the landlord gave them a rent reduction from the start and reduced their rent again when they ran into unexpected permitting delays. Where is the shame or greed in that? Can you shed any light? We were so excited about this place opening so close to home but seems like they bailed on the lease for their own mysterious reasons. Even the landlord still doesn’t know why. I guess playing the victim card is an easier pill for everyone to swallow.